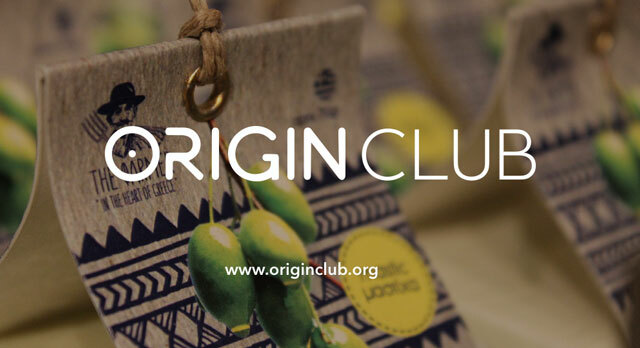 Origin Club is helping small farmers in Central Greece by selling their products online. We’re targeting pre-sales of limited edition solidarity hampers (plus other rewards, from postcards to holidays) worth £10,000 in an all-or-nothing crowdfunding campaign — now live and close to 30% funded! Check out our crowdfunding campaign by clicking here. So, without further ado, please read and share these 10 simple reasons to p…p…p…pledge! Authentic, fairly priced and delicious products delivered to your door in time for Christmas —if you’re an ethical foodie it doesn’t get better than this. Greek villagers have always been famous for their vitality and longevity, but most recently for a debt crisis that is putting small producers out of business on a daily basis. Put simply, buying a solidarity hamper is your chance to make a stand in solidarity and enjoy world class local food, direct from Central Greece. Grab a low value reward and you could win a hamper worth £100. Or, buy any hamper and you’ll enter a draw to win a 5 day co-learning retreat on Villa Averoff in June 2017. And once more for emphasis — Buy a solidarity hamper in the next 10 days and you could win a free holiday. Opa! Here’s the bottom line — Buying one of our hampers directly benefits small-scale producers by selling more of their products. In the simplest possible terms, every single hamper sold means more Euros in the hands of Greek farmers like Vasilis. For all the R&D in the pipeline, this is the headline grabber. Crisis in Greece is a daily reality, and in times like these, buying direct really does make a difference. So go on, make Vasilis smile a little wider. As well as selling mountains of solidarity hampers, we have a bigger picture in mind — to reinvest 100% of our profits in groundbreaking R&D which directly benefits the rural communities which make Origin Club possible, focusing on key issues of authentication, marketing and distribution. Whether or not we hit this campaign’s all or nothing target, we’re happy to have built invaluable momentum and helped lay the foundations for new and exciting developments in 2017. Say hello if you’d like to join the club and help co-create this with us. Our mission is to design, prototype and diffuse simple and scalable solutions to real world problems. We know this approach could take years, even decades, to bear fruit. But we sincerely believe that now is the time — let’s start building those new models which make the old ones obsolete. So why not take action today and nudge us gently skywards from just £5? We’ve adopted an integrative and iterative process —which means we learn by doing and are always prepared to pivot. Sometimes we fail, but what’s important is that we fail fast. This campaign has already proved to be a mighty steep learning curve, and who knows what the next 10 days will bring? One thing we know for sure is that we’ll be back in 2017 with new practical ways to help make a difference. Buy a hamper today and whatever happens next, you’ll share in this adventure right from the start. We value democracy, transparency, autonomy and agility — principles which we’ve hard wired into this startup’s DNA. If (like us) you’re a bit geeky and would like to know more about what’s under the hood and how it works then stay tuned — we’ll publish a deep dive into our crowdsourced organisational pattern before this campaign ends on November 15th. At the heart of our idea is the belief that a sustainable and flourishing food system depends on greater democracy and transparency, enabling small scale farmers and ethical consumers to work together to drive innovation and positive change. If you believe this too, then please buy our products and help make Origin Club this year’s perfect gift to show you care. - Dimitris Kitsikopoulos, Origin Club co-founder. Origin Club is designed to facilitate co-production and share risks and rewards with all stakeholder groups. This approach helps us to collaborate openly with a global design community of leading edge innovators as well as local networks of small farmers and other peer producers. If you like our big ideas and would like to see them develop as pipeline collaborations with FairTransport, Fairmondo, Provenance and Greenpeace Greece come to life, then there’s no better way than the simple act of — yes, you’ve guessed it —buying a Christmas hamper full of delicious Greek goodies. And that’s it. 10 reasons to back Origin Club, help small farmers in Central Greece and generally make the world a better place. It all starts with a pledge. Whether £5 or £500, this campaign is all about gaining early traction by growing our crowd. So what are you waiting for good people of the worldwide web? Get in on the ground floor by helping us make Origin Club this year’s perfect gift to show you care! Thanks for reading and — even if you can’t pledge — here’s two other ways you can make a difference today. Join the conversation by signing-up to the mailing list or following us on social media. You can also feedback on everything included in this article in the comments below, or by getting in touch directly via social@originclub.org. Marcus Letts is a design thinker and event producer from the UK. He lives on the island of Evia in Greece with his wife Emily and two year old son Seth.